Launch sponsors include Michelob ULTRA, Trop50 and Whole Foods. One intriguing aspect of Bon Appétit’s brand new portal Healthyish is the fact that it comes with its very own eating instrument. Tomorrow through Feb. 1, a special Bon Appétit Healthyish Bowl will be available for pick-up at Sweetgreen locations by those who ordered it online. 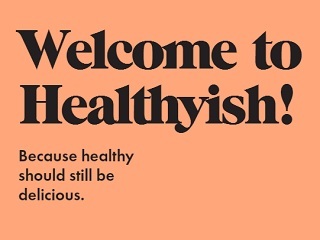 The launch of Healthyish is being bracketed by an in-kind February issue of Bon Appétit dedicated to that concept of good health through good food. Site editor Amanda Shapiro explains that the website name comes from a term that evolved internally at the magazine, used to describe how most staffers try to eat. Bon Appétit plans to launch several more stand-alone brands like this in the third quarter of 2017. The debut-phase sponsors for Healthyish are Arla Foods, Michelob ULTRA, Purely Fancy Feast, Trop50 and Whole Foods.